It contains specially enhanced carbohydrate - for sporting elite meets their needs and requirements. This unique carbohydrate causes that Vitargo® CARBOLOADER complements the deficiency of glycogen in the body immediately pace. 14 loyalty points Your cart will total 14 points that can be converted into a voucher of 0,56 PLN. CARBOHYDRATE THAT BEST COMPLETE GLYCOGEN! HIGHEST RECOMMENDATION IN THE WORLD! PRODUCT IS SUITABLE FOR ELITE, AND NOW AVAILABLE FOR YOU! INSTANT REGENERATION AND ABSORBENCY WITH STOMACH! 100% GLYCOGEN REBUILDING AFTER TRAINING! REDUCE INFECTION BODY AND FREQUENCY OF INJURY - RESEARCH. LOW OSMOLARITY I ULTRAHIPOTONICZNOŚĆ PRODUCT! 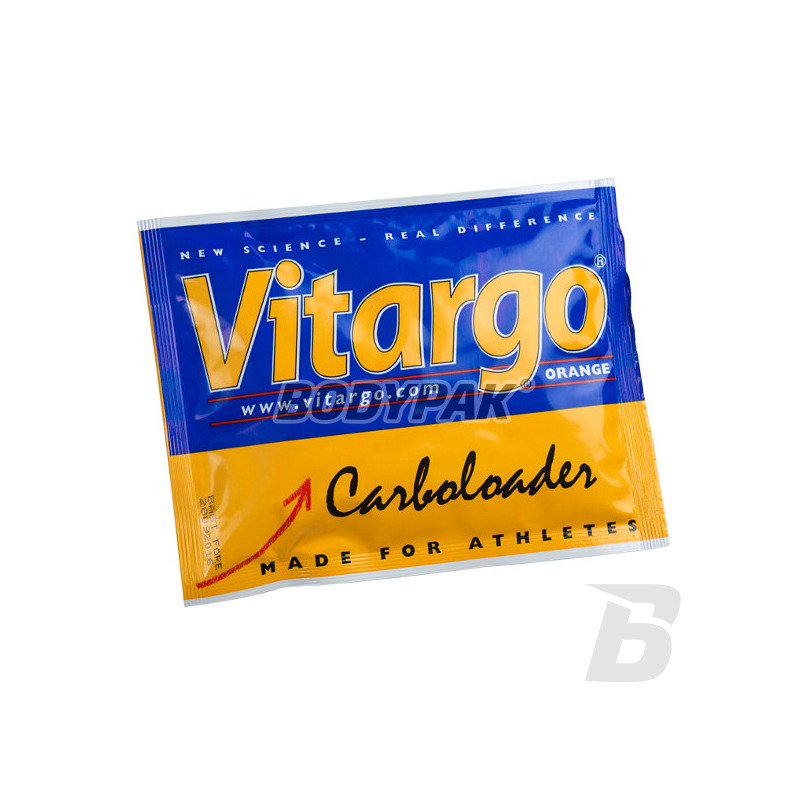 Vitargo® Carboloader - contains specially enhanced carbohydrate for elite sports meets their needs and requirements. This unique carbohydrate causes that Vitargo® CARBOLOADER complements the deficiency of glycogen in the body. (Complements but does not replace fully normal meals). Vitargo® CARBOLOADER gives the best results in the correction of carbohydrates in the body as a sports drink before and during training / competition, as well; which is very important; complements the energy balance after training / competition. Clinical studies at the Karolinska Institute in Stockholm confirmed the above theory. 1 - By replenishing carbohydrates we get the maximum endurance of the body. With Vitargo® CARBOLOADER it is possible to maintain a normal diet at the same time, the maximum complement of carbohydrates! 2 - Guaranteed, efficient and optimally utilized through training supplementing carbohydrates. It is very important for both sportsmen and amateurs is to maintain energy balance. The body which does not provide enough energy is exposed to infections, there may be symptoms of overtraining. To remedy this, it is important to within 0.5 - 1 hour after training / competition make up the body in the right amount of carbohydrates (glycogen in the liver and muscles mainly). Vitargo® CARBOLOADER is the only guarantee that in a very fast and without causing disturbances carbohydrate supplement with water. The carbohydrate contained in Vitargo® (according to research at the Karolinska Institute in Stockholm), 70% faster than other sports drinks (Carbo, Dextrose, Maltodextrin) supplements the level of glycogen in the muscles and in the liver after training / competition. 3 - Keeping up the pace during the competition. 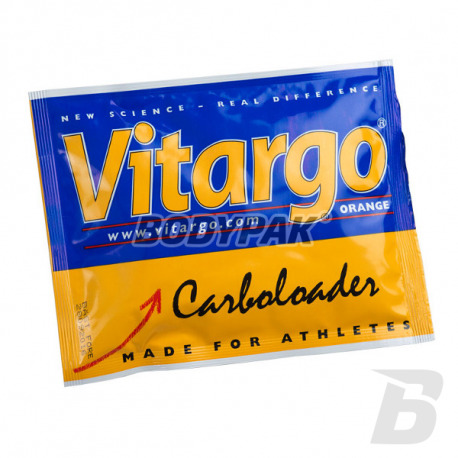 Vitargo® CARBOLOADER a sports drink for athletes by picking a big requirement. During exercise, the body needs carbohydrates 1-1,5g / kilogram body for an hour in order to maintain proper blood sugar levels (lowering blood sugar results in a loss of pace and ability to concentrate). During the competition the best results are obtained by drinking Vitargo® CARBOLOADER, athlete weighing 70-75 kg should drink 1 bag (75g) Vitargo® per hour. Vitargo® CARBOLOADER has the advantage that it would leave the stomach rapidly and therefore do not cause digestive disorders while continuing effort. Inne składniki: skrobia jęczmienna (Vitargo), kwas cytrynowy, naturalne aromaty, substancje słodzące (aspartam, acesulfam K). Zawiera źródło fenyloalaniny. High-carbohydrate supplement which is an ideal source of energy recommended for athletes burdened with intense physical exercise. Incredibly delicious and effective! Top-quality carbohydrates! It contains specially enhanced carbohydrate - for sporting elite meets their needs and requirements. Vitargo® without any additives - pure barley starch, which you can add to any drink. It contains specially enhanced carbohydrate - for sporting elite meets their needs and requirements. Electrolyte version is enriched with mineral salts, essential especially after training / competition. Bet on the quality and enjoy the results! Excellent sports drink for athletes and active people, which can be eaten in unlimited quantities before, during and after exercise. High-quality formulation based on patented carbohydrate Vitargo, which was developed for leading high-performance athletes to ensure that they can effectively absorb most readily available energy accumulated in the form of muscle glycogen. Isotonic drink for optimal composition of carbohydrates, minerals and vitamins B, providing water-electrolyte balance of the body during exercise. Quick energy boost for training!